Following a dry spring and summer we’ve had a wet winter on the Central Oregon Coast which has pushed the Umpqua to levels higher than I’d like to fish. 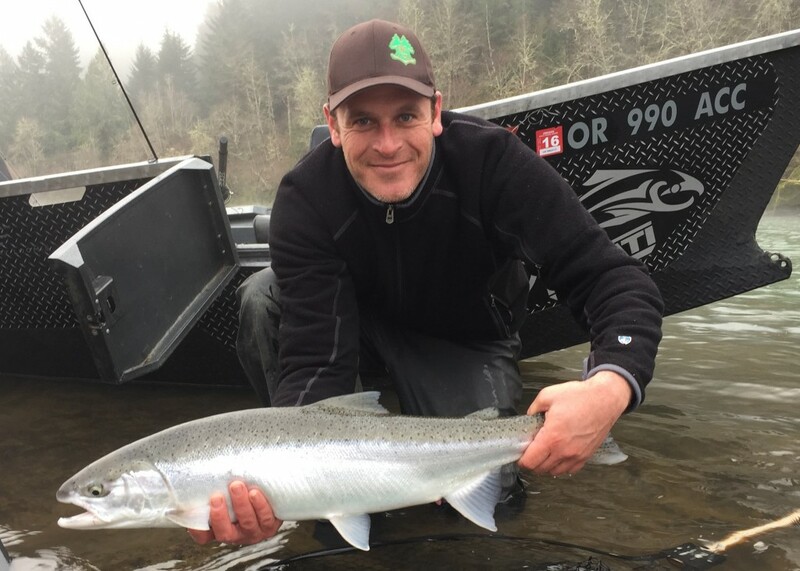 The rain has forced anglers to be flexible with which section of the Umpqua they fish. The downfall to the Umpqua is it takes time to fall after a rain. For example, the influx of water has made it more challenging to fish the main stem, particularly with bait. While those running plugs are going well now those looking to side drift bait are going to have to wait for the river to recede. When you combine the main stem, north and south fork the Umpqua is a big system. Being flexible is a key to success. The last few years we’ve had low water, which can be a blessing on the main stem that fishes well in low water. 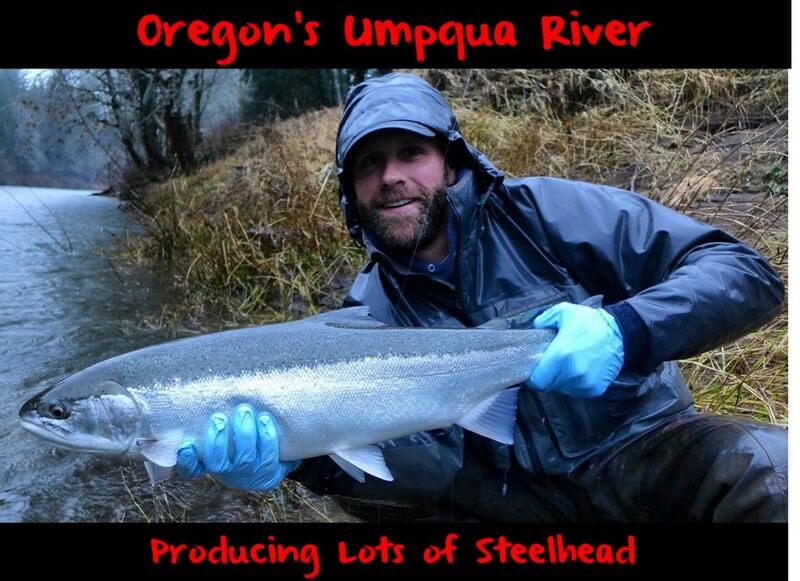 The Umpqua is known for producing the big fish. 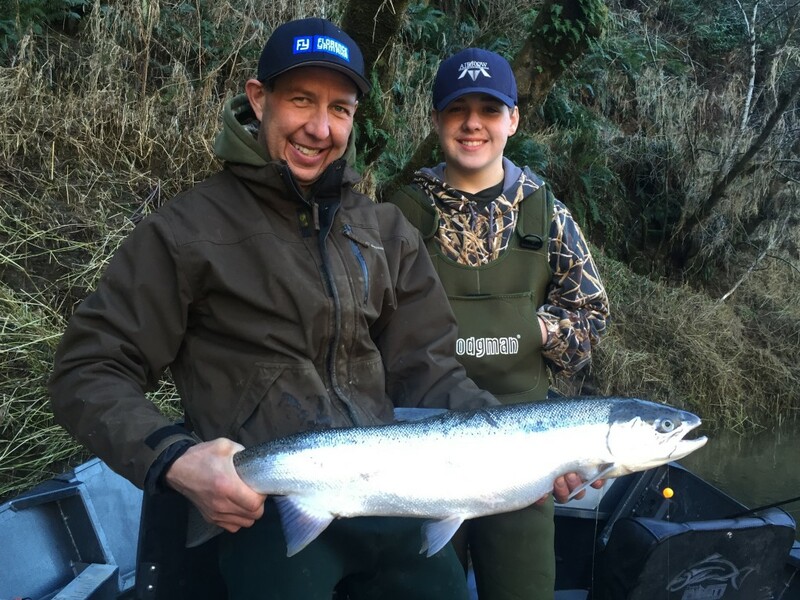 It likely yields the best opportunity in Oregon to land that coveted 20-pound fish. Meanwhile, I approach all branches the same. I fish high when the river is high, and move down river as the rivers drop. The Umpqua is a big river with deep long runs, which makes side drifting or bobber dogging the best methods. I do both depending on depth yet tend to side drift more as it allows us to slow the presentation down and get down into the strike zone. 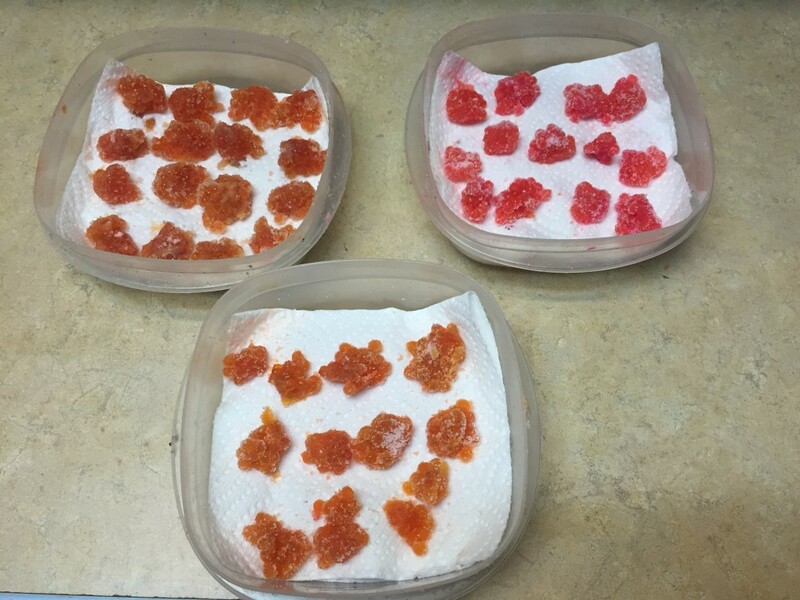 I use three setups when targeting steelhead on the Oregon coast: a yarn ball with Orange, Pink or Natural BorX O Fire cured eggs, cured eggs and Puff Ball and yarn balls soaked in in Pautzke Red Nectar. For the Umpqua tacky roe is best. I put them in a paper towel and have them dry out a bit. You don’t want them dripping juice for winter steelies. 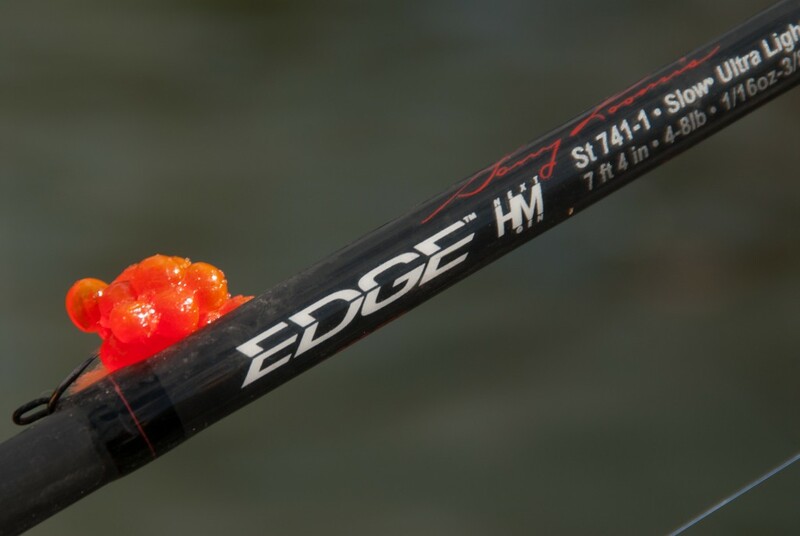 It’s basic stuff when it comes to targeting Umpqua fish. It’s important to get into the zone and maintain a consistent speed. The river is large. Even on the south and north fork drifts can seem overwhelming. My solution to that is work the drifts thoroughly until you rule there are no biters. Mix up baits as well. Sometimes they want roe. On the other hand, in many cases yarn balls soaked in Pautzke Nectar is money! It’s advantageous to have a kicker on your drift boat. This allows you to work the hole several times. If you don’t you get one chance many times. The option for those who do not have a motor is pulling plugs, which is effective and seems to locate large fish. But I think side drifting produces more numbers and is the most effective method. Anglers may keep two hatchery fish per day. On the main stem most of the fish are wild. I’d say one of 12 is a hatchery fish. However, on the South Fork we get 30-45 percent hatchery fish. The north fork is almost exclusively wild fish.